On Saturday I was able to see Julie for a few hours. We had a great time together. True to form she told me a funny story that had us both laughing. Friday morning she had finally fallen asleep after a hard night of feeling so bloated it was like being pregnant. It was around shift change that she had fallen into a deep sleep. She said, "You know how it takes a bit for me to warm up to new people (like nurses each day)? Well this nurse came in with guns a blazing saying 'How ya doin?! Where do you live? How many kids do you..."Shhhhhh" she said. 'Oh! Sorry!' He continued to talk, but softer (sounds like my kinda guy), and she later just softly said "Stop Talking." When I saw her on Saturday, it was clear her blunt replies broke down the social barriers since they had a good rapport. We were laughing about it since she has done the same thing to me on multiple occasions, just not in such a friendly tone. Julie has been doing very well and her physicians have told her she has been responding very well to the treatment. Most people on this very strong regimen CODOX M IVAC have a lot of symptoms. Aside from bloating she has had only slight nausea, and her heart and kidneys are functioning very normally. On the last post I mentioned her LDH numbers were climbing. They topped out at 10000 on Saturday night. Julie was starting to get worried because they didn't know if it was from the tumors breaking up or the cancer growing. She prayed the numbers would drop. That was at the beginning of the fast so many of you joined us in. The next morning it was down to 8000, a significant drop in such a short time. Tonight she said "I know that I am doing well because of the prayers and fasting. There is no other explanation." I had to travel to Washington DC for work for two days. We managed to have a number of people graciously here to take care of the boys. I spent some time on the phone trying to stay updated with Julie and her counts. Each day she has been improving. When I got home tonight I walked in and said Hi to her friend Heidi who was watching the boys. I didn't even notice my wife sitting on the couch. When I saw her I was sure she snuck out. 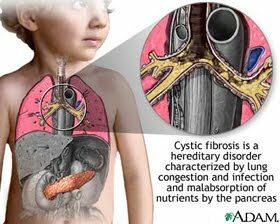 It happened many times when she was a CF patient. She was discharged today and will be back Thursday for another out-patient treatment. There are two more treatments on day 15 and 17 she will have to do and then Round 2 around day 30. I couldn't stop smiling when I was here. It was just so unexpected to have her back. Apparently I wasn't the only one. Charles couldn't stop smiling either. He just kept his eyes on his mommy. Many thanks to the thoughts and prayers that have been on her behalf. We know so many of you out there are dealing with your own problems and barely have time to look at this or even think about what we are dealing with. It is a real blessing to have so much support available and given to us.